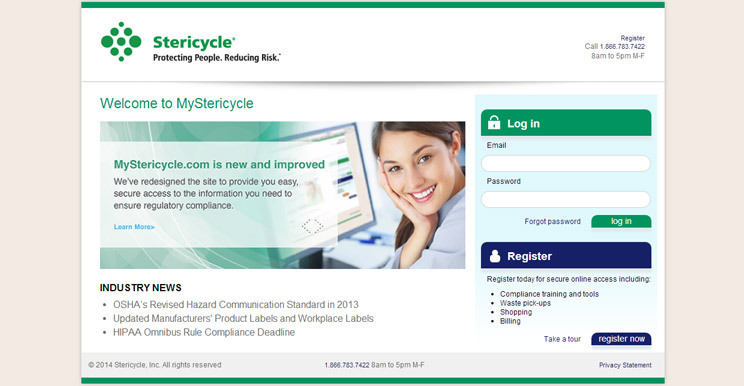 Stericycle provisions training in the practice of keeping healthcare organizations to code with all the relevant agencies, including HIPAA, OSHA, EPA, DOT, and Joint Commission. I was on the team responsible for converting the existing site— Mystericycle.com —from an ASP.NET site to one more easily manageable, using MVC (Razor) and HTML5. My primary role involved transferring over the entire Training Section, complete with videos, tests, and state maps. I was also responsible for the addition of new pages and sections using a C#-code focused templated architecture, styling and design changes, and training (as well as learning from) a new Junior .NET developer with making changes to the site as well. Uses a 960-Grid CSS Layout structure.